When we moved to the farm, I thought there must be trilliums somewhere on the property. After two springs, though, I still hadn’t seen any. Then, on Monday morning, I found them. In the small grove between the front field and the east field, alongside the creek, there are trilliums. Lots and lots of trilliums. 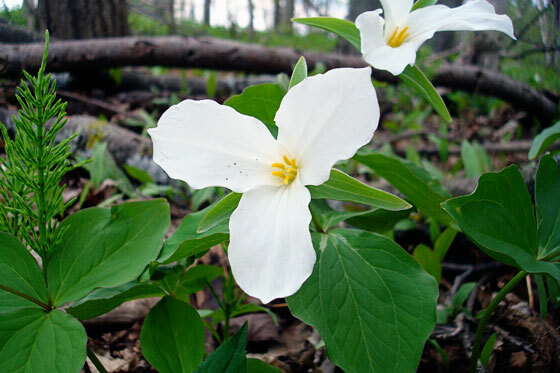 For those that don’t know, trilliums are Ontario’s official flower. 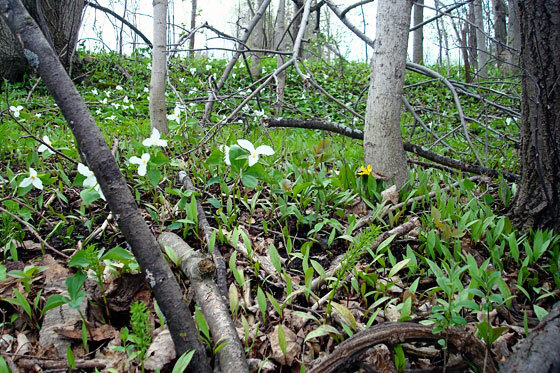 There’s a common perception that you’re not allowed to pick trilliums in Ontario. 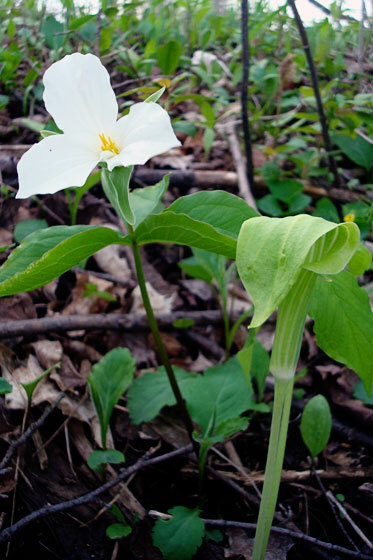 But, according to Wikipedia, trilliums are only protected in conservation areas or provincial parks (and in some areas in the States). However, picking a trillium can kill the plant. Trilliums tend to be a bit elusive. They hide away in the woods and aren’t seen very regularly, so I’m super excited that we have some on our property. I even spotted some Jack in the Pulpit, which I’ve never seen before. We have them too here in Michigan, and it is illegal to move them. They are beautiful. If you have trilliums you might also have May flowers blooming right about now. I never realized how widespread their range is. Somehow the one-dimensional sketch in the provincial logo isn’t the same. I had no idea that picking a trillium could kill it! Interesting info, and super cool that you have some on your property! 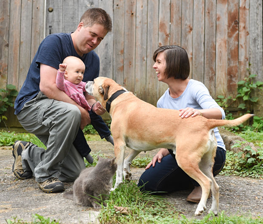 It was neat to clarify what the rules are around trilliums as I wrote this post.